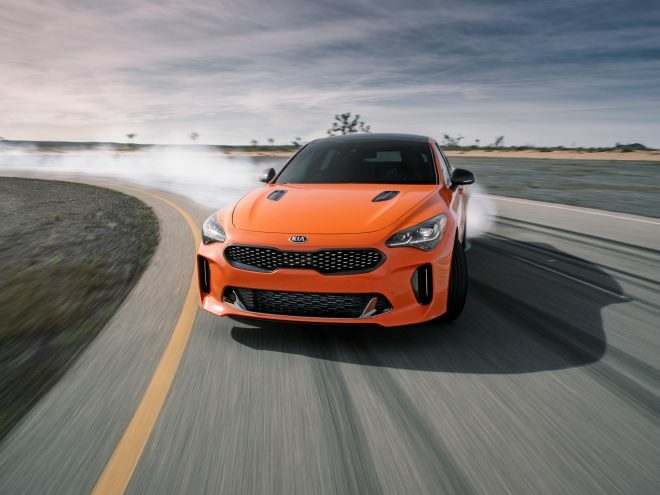 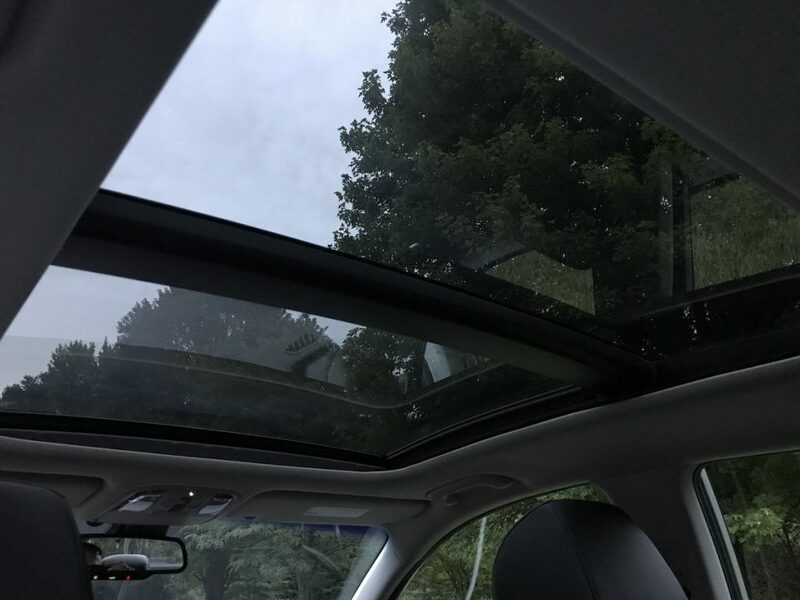 Kia debuted the 2019 Optima at the NY Auto Show last spring, where we saw a significant influence of the Stinger inside and out. 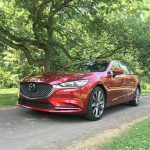 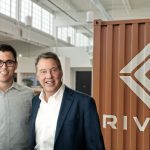 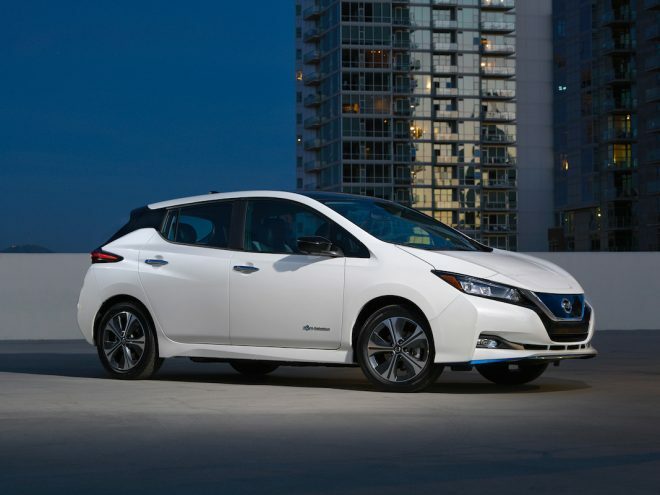 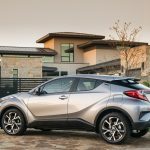 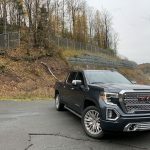 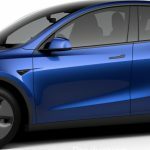 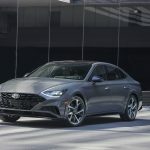 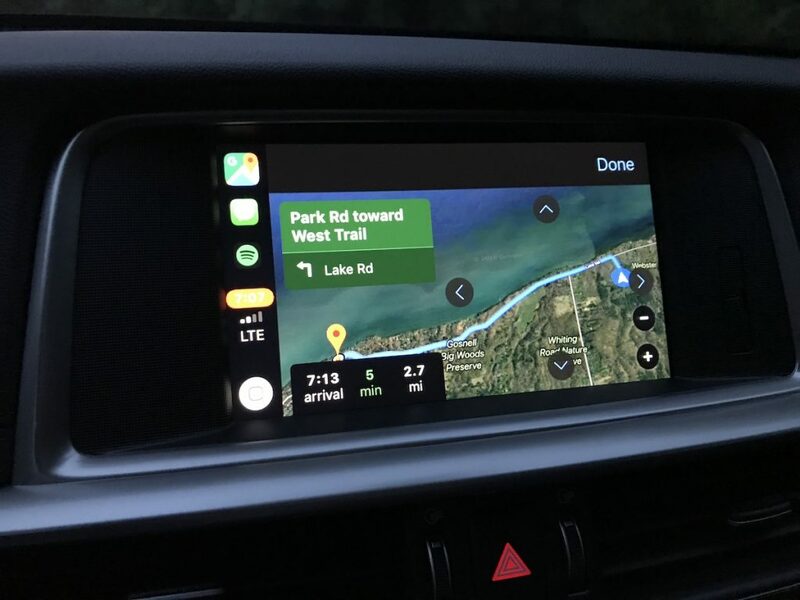 The design got a refresh, more equipment became standard, and more tech is offered to make every drive safer and better. 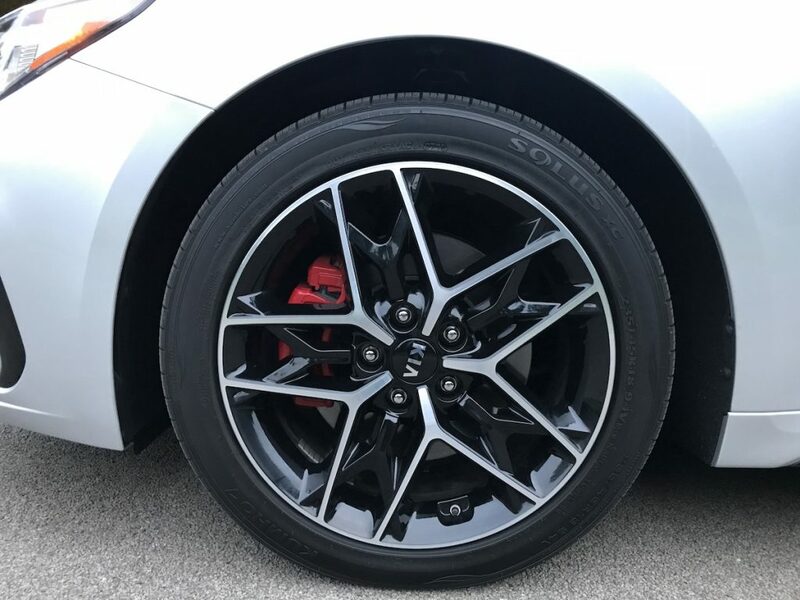 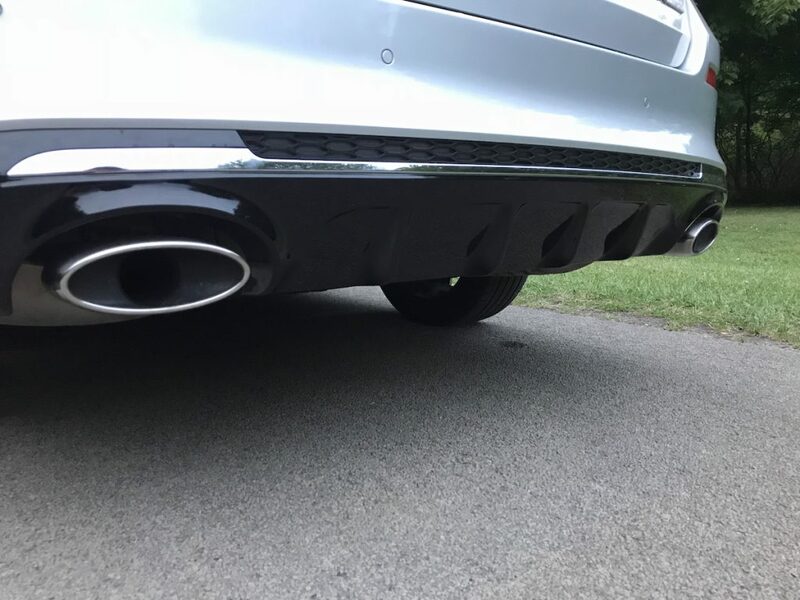 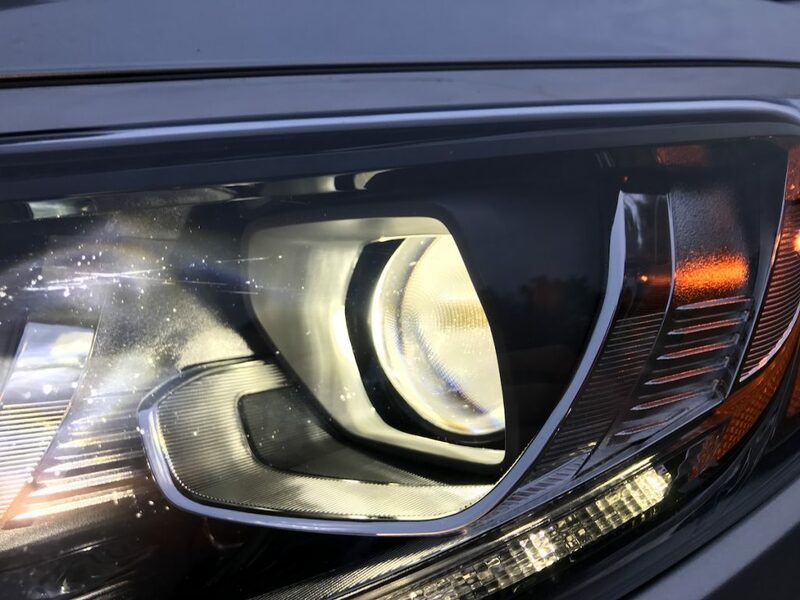 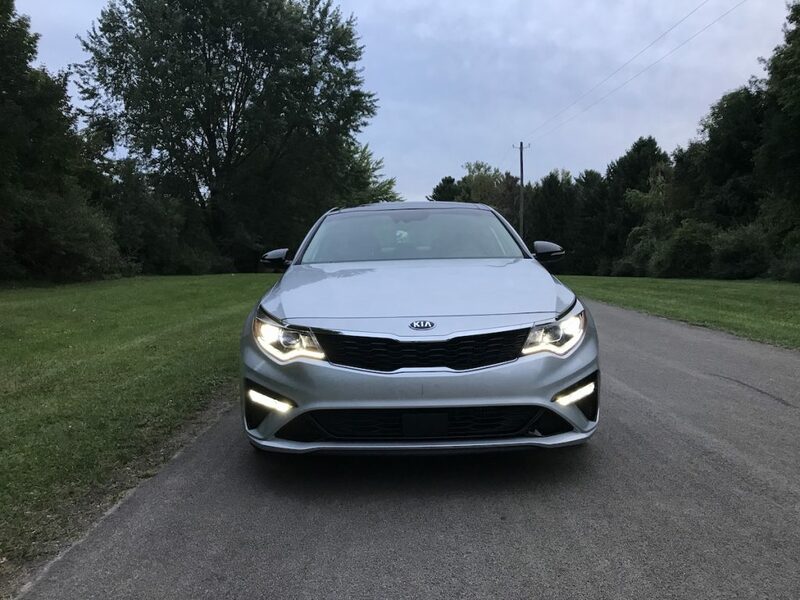 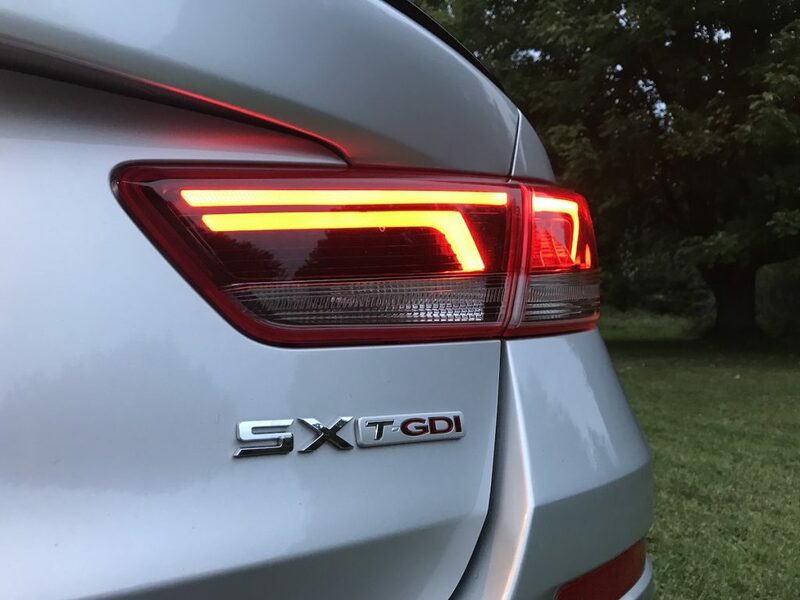 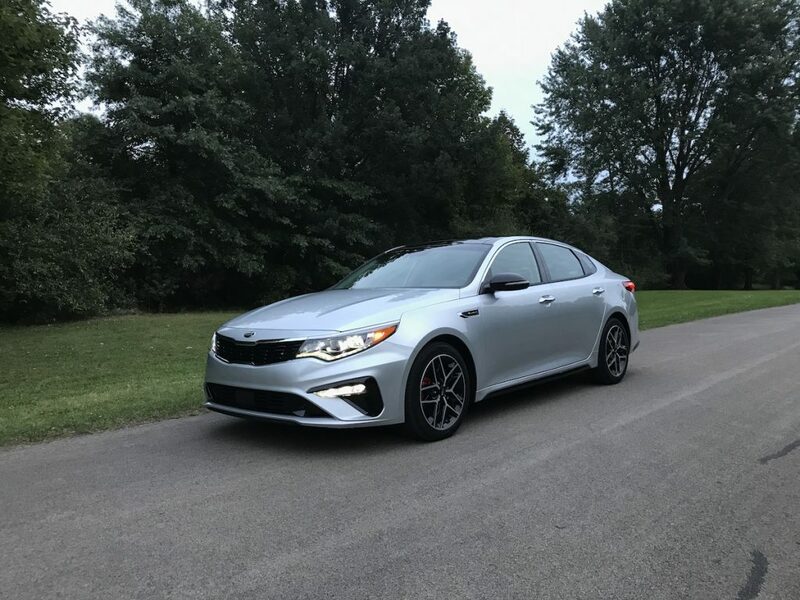 Our Optima SX tester came with Stinger-inspired LED daytime running lights and foglights, stylish LED taillights, dual exhaust, and a new slick wheel design wrapped in 18-inch rubber. 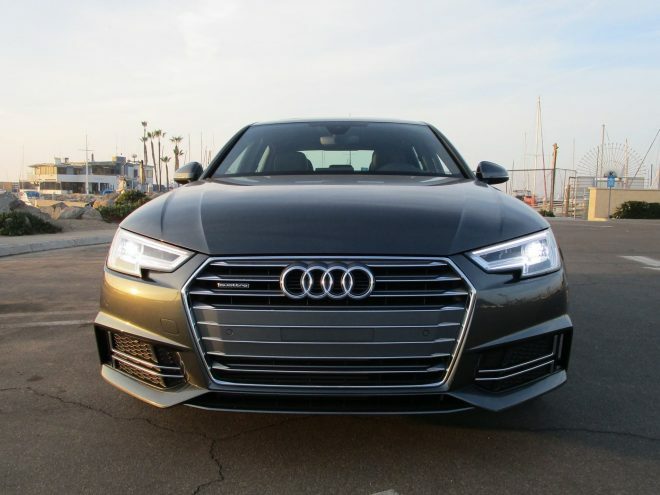 Gloss black painted grille, door pillars, and side molding make the car look sporty and exotic. 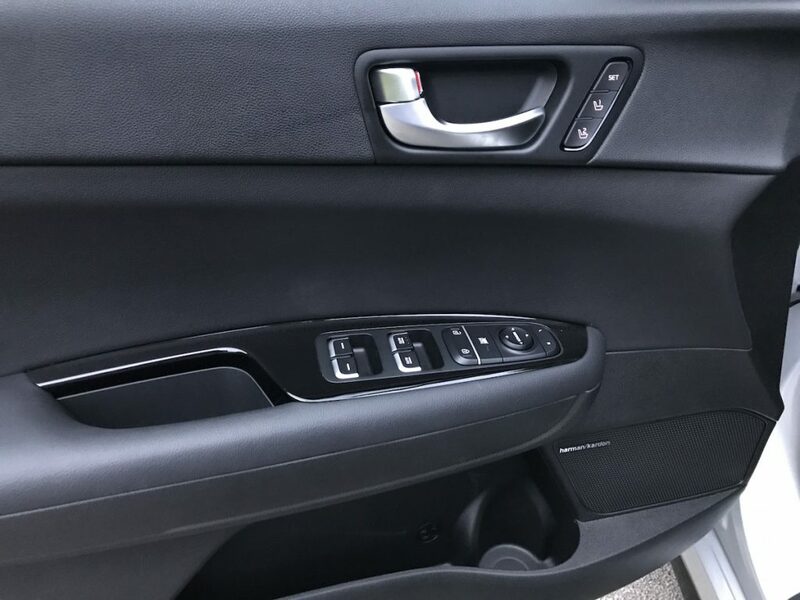 Smart Welcome as Kia calls it, illuminates the exterior door handles and unfolds the side-view mirrors whenever the key gets near the vehicle. 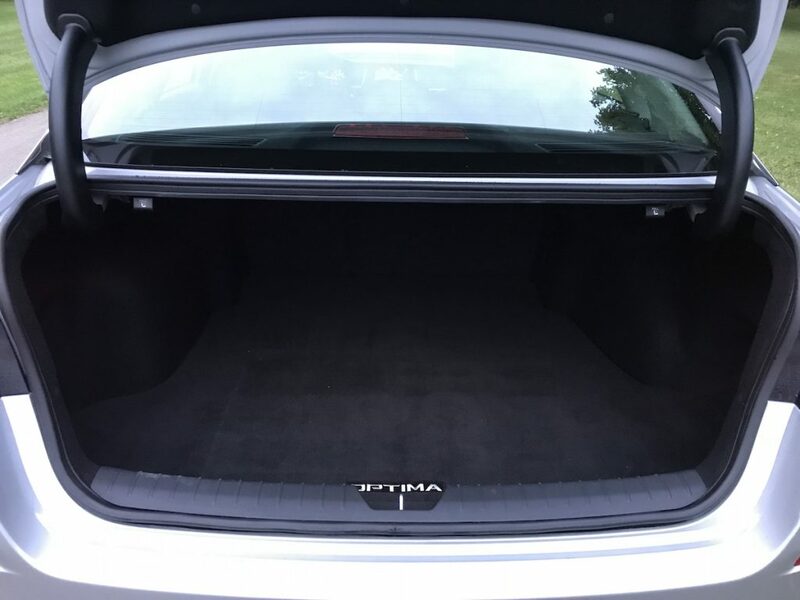 The smarts continue out back for the trunk, unlocking and popping it open just from standing beside it for a few seconds; really helpful when hands are full. 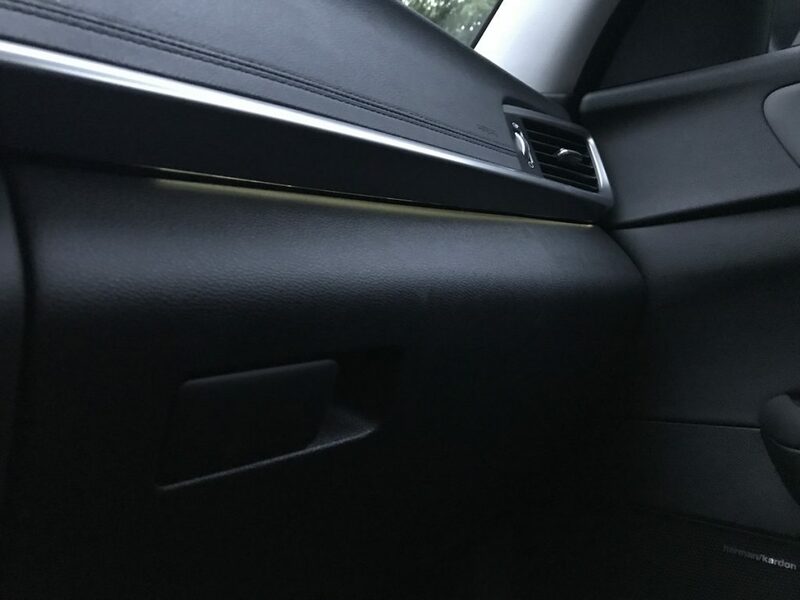 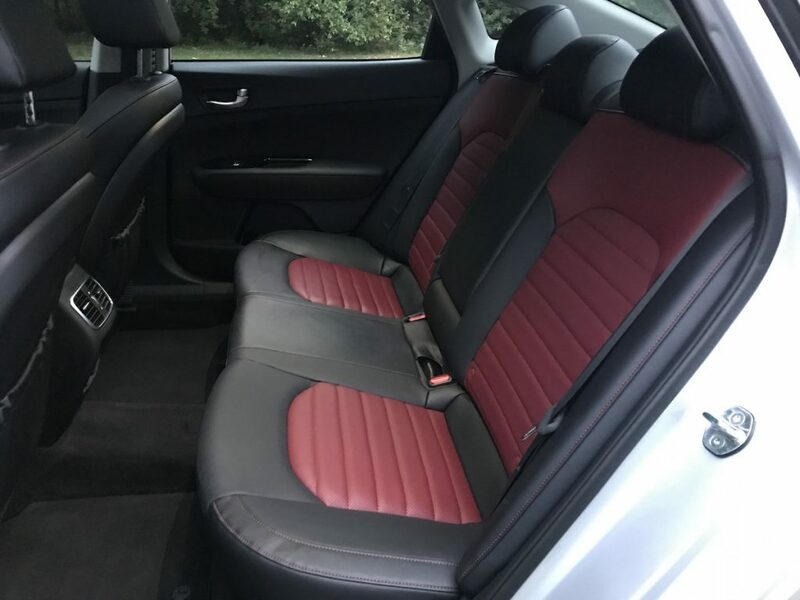 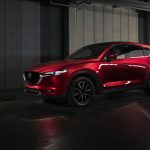 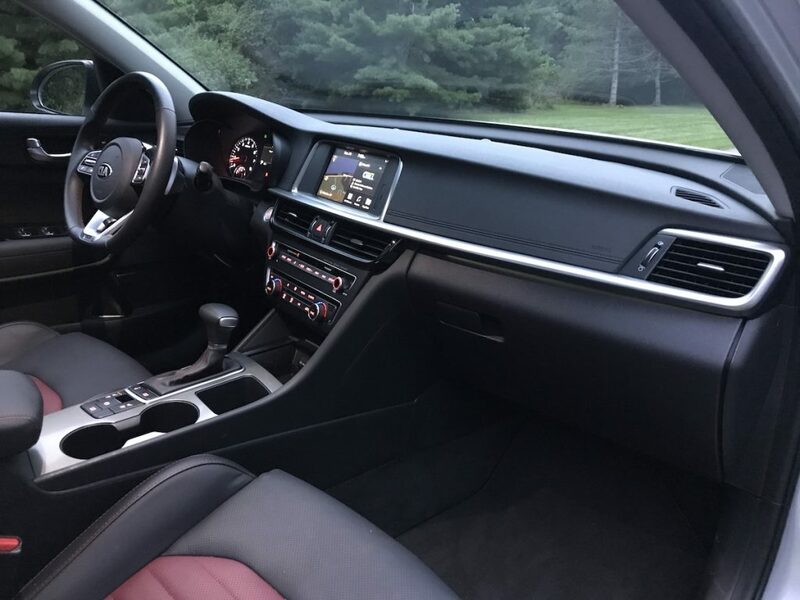 Inside, ambient multicolored illumination around the interior makes for a luxurious-feeling cabin at night, and during the day, red and black two-tone leather sport seats and the panoramic roof feel out of a car costing twice as much. 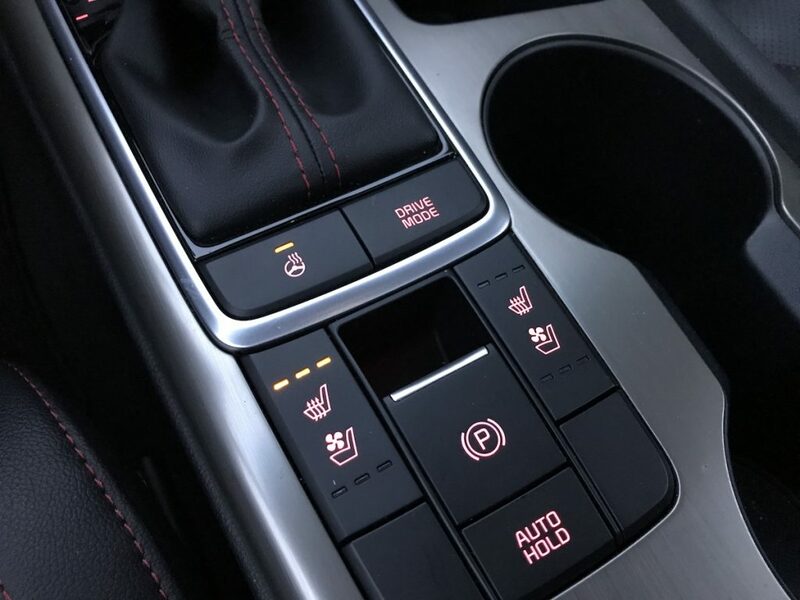 The heated steering wheel is fantastic and gets toasty in seconds, a boon for winter days. 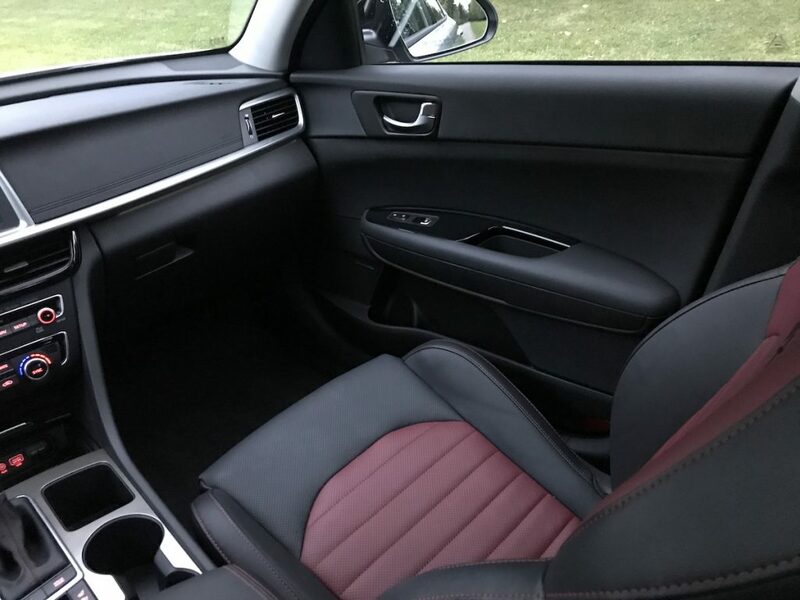 For those in Florida during the winter, ventilated/cooled seats are standard. 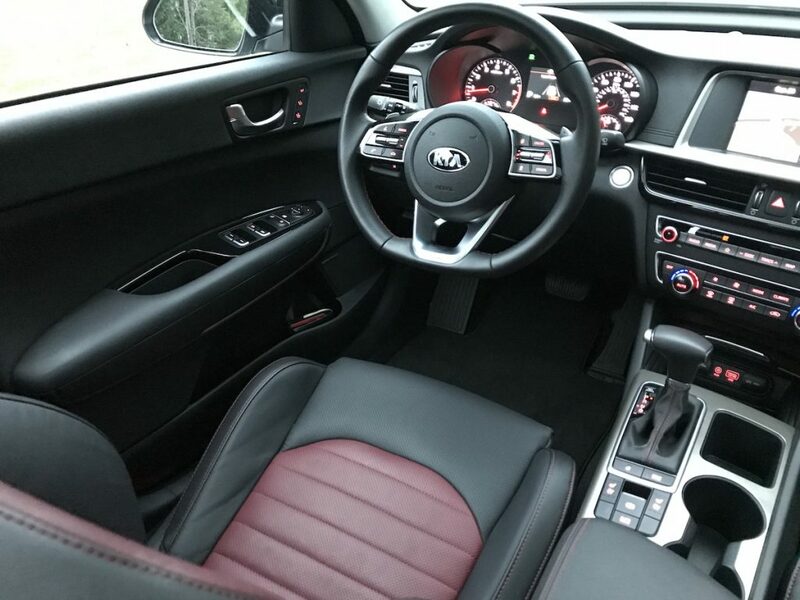 Optima just makes it difficult to be uncomfortable. 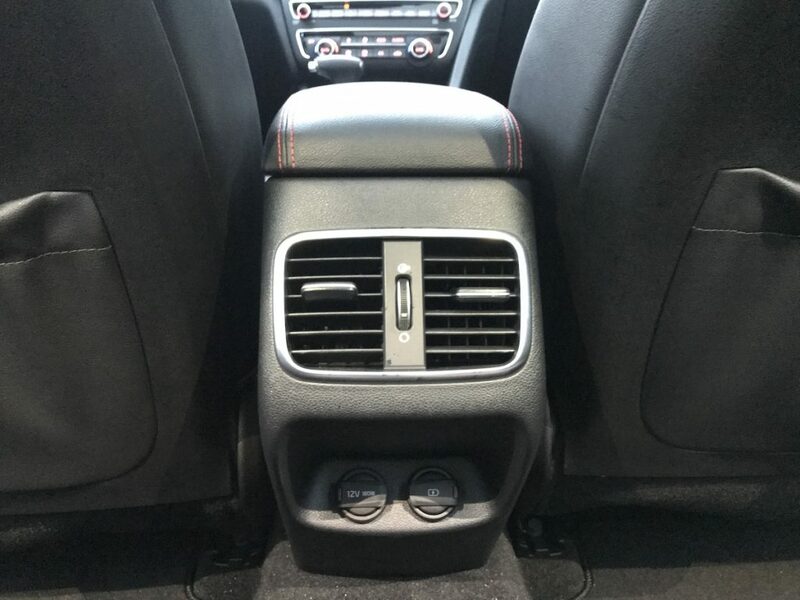 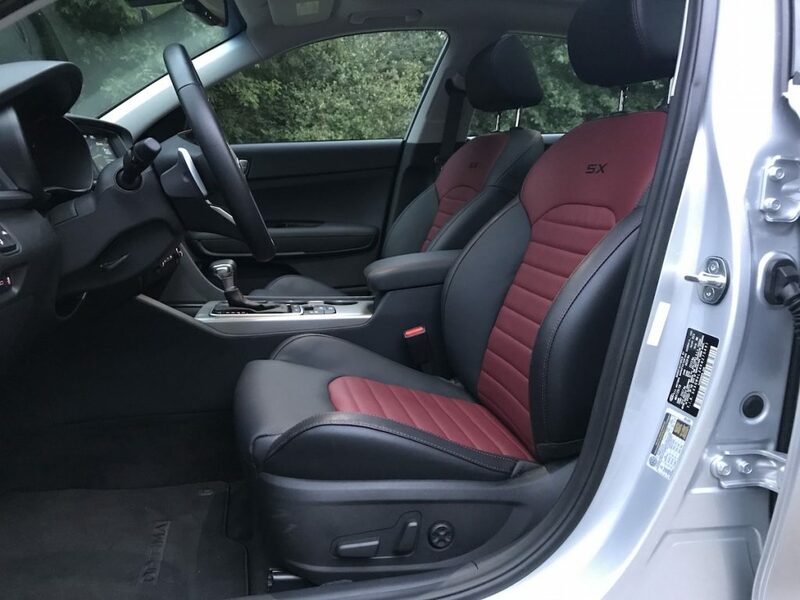 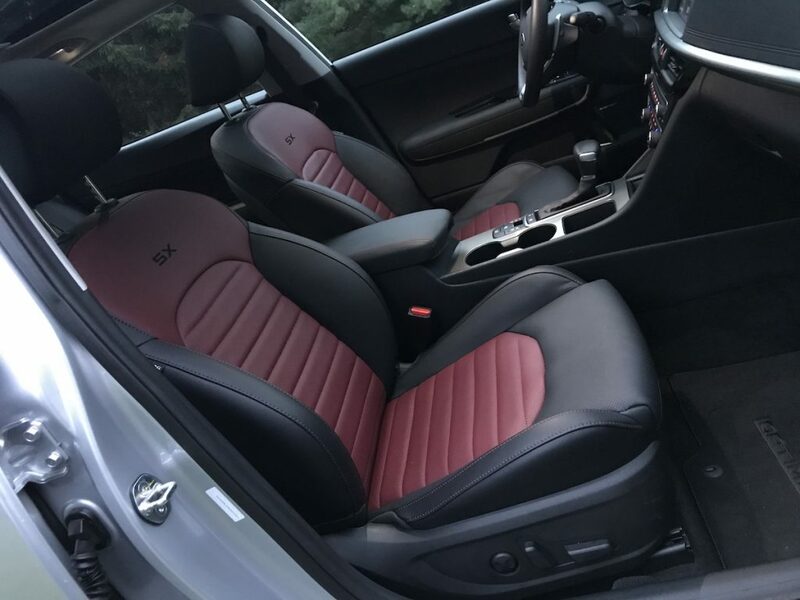 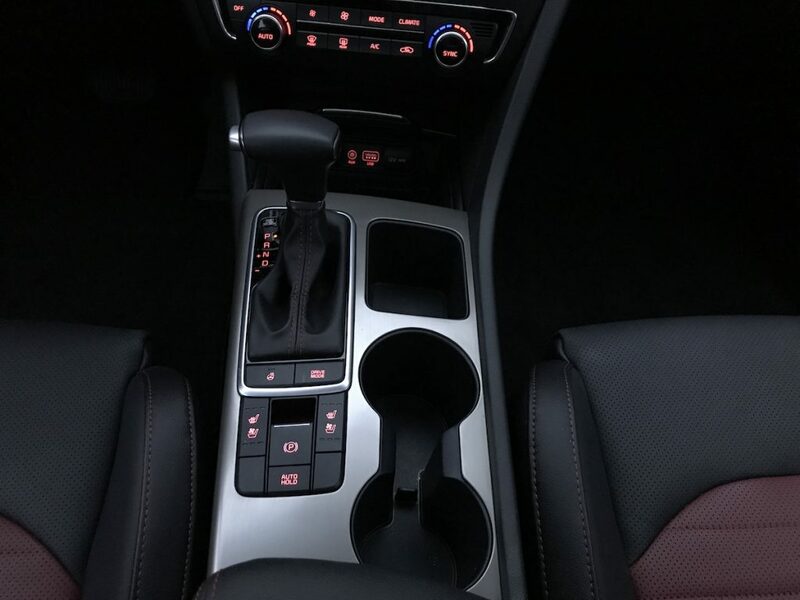 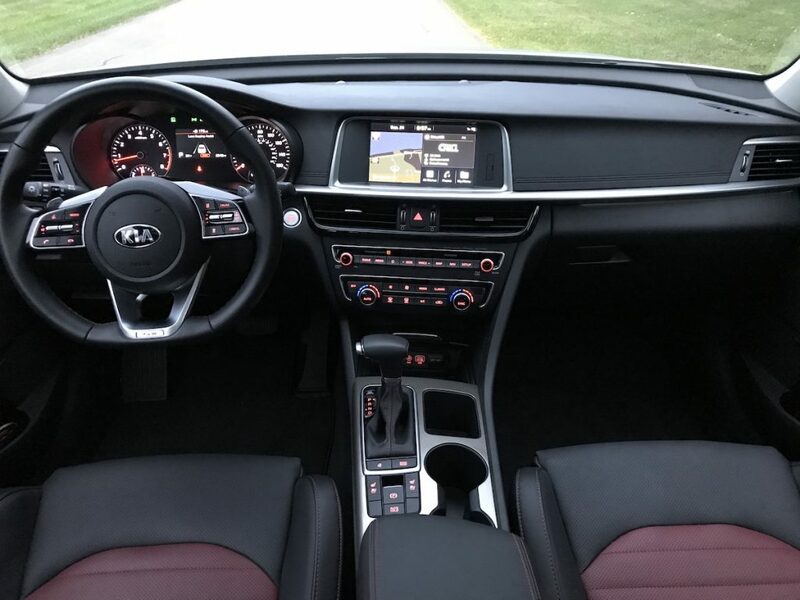 The seats are supportive for a joy ride or 4 hour drive, showing Kia really paid attention to the details that matter when engineering this refresh. 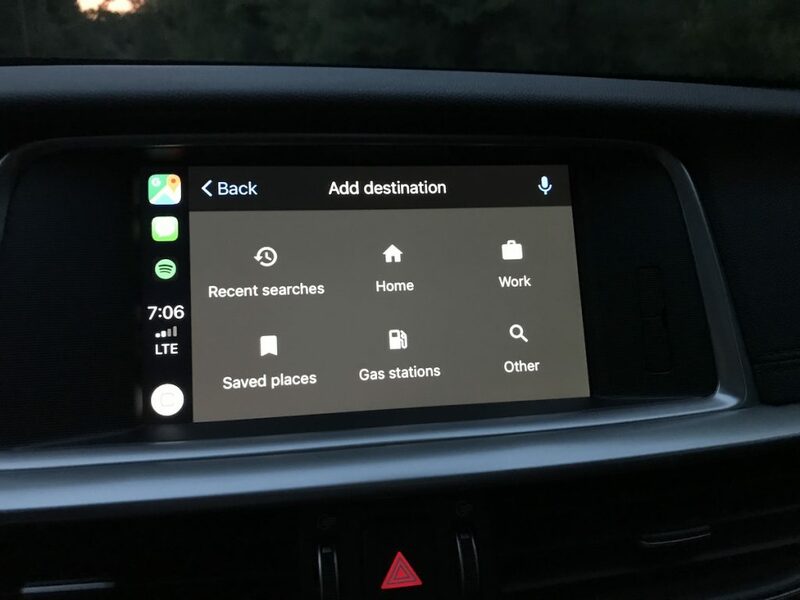 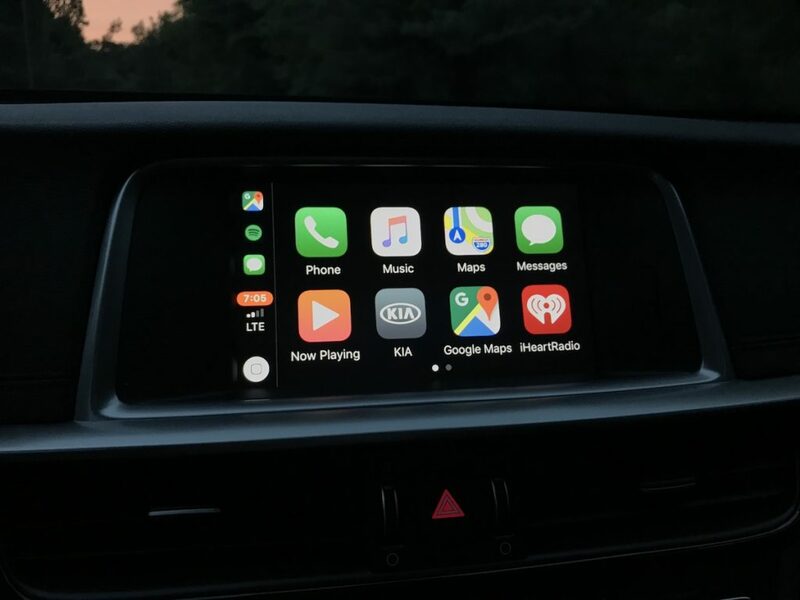 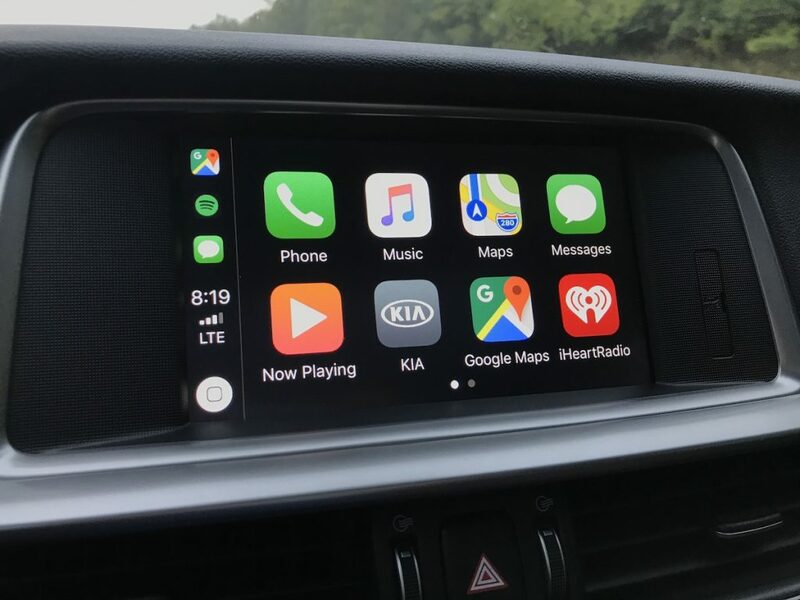 Infotainment is superior with Android Auto and Apple CarPlay on tap, with integration in the driver info center to show music info. 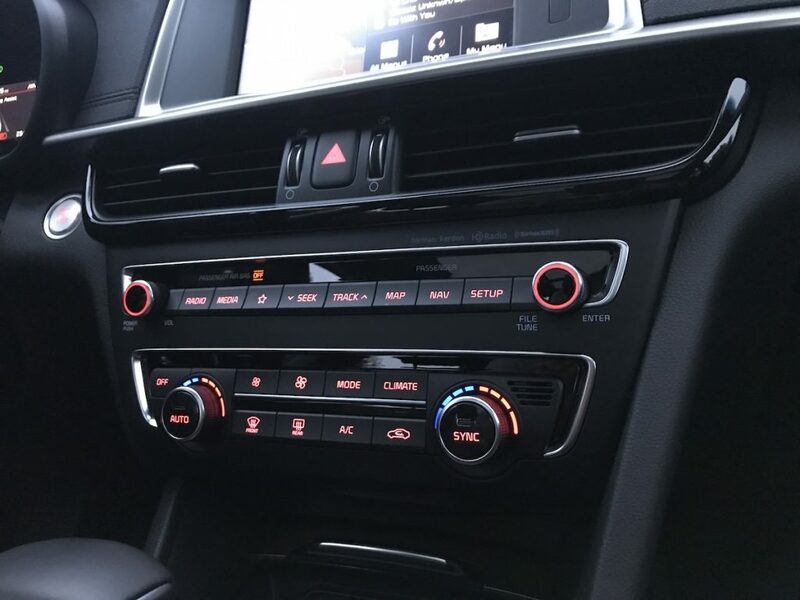 Knobs and buttons, along with the large touchscreen, make input entry easy. 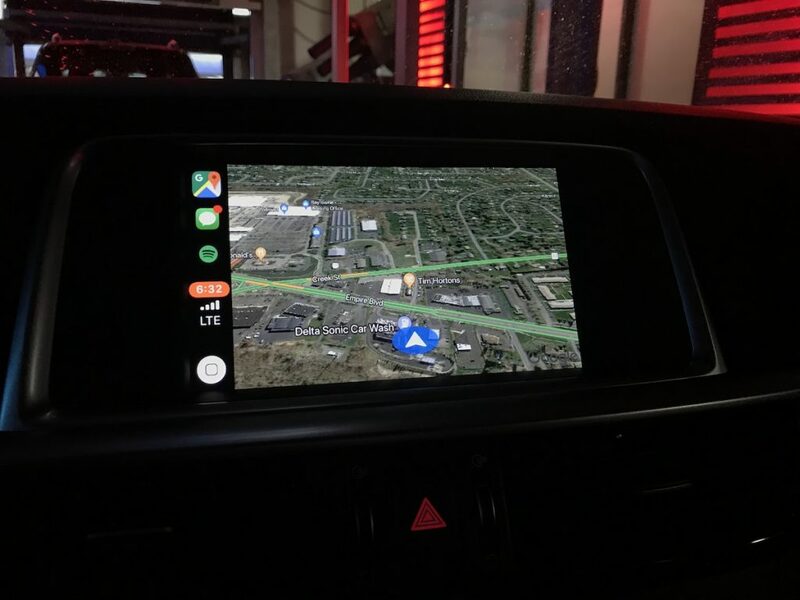 The UVO integration and nav are added perks. 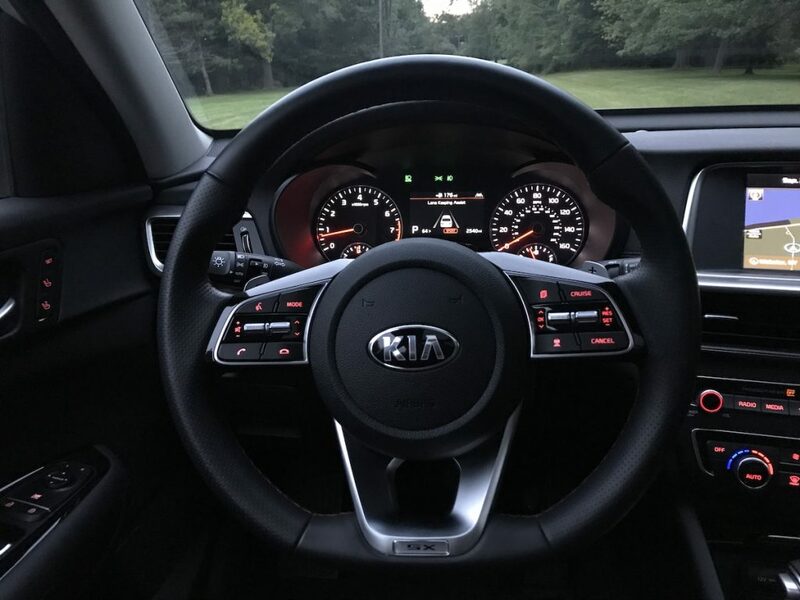 Kia’s latest UVO telematics system is launching in this Optima makes it easier than ever to interact with the car. 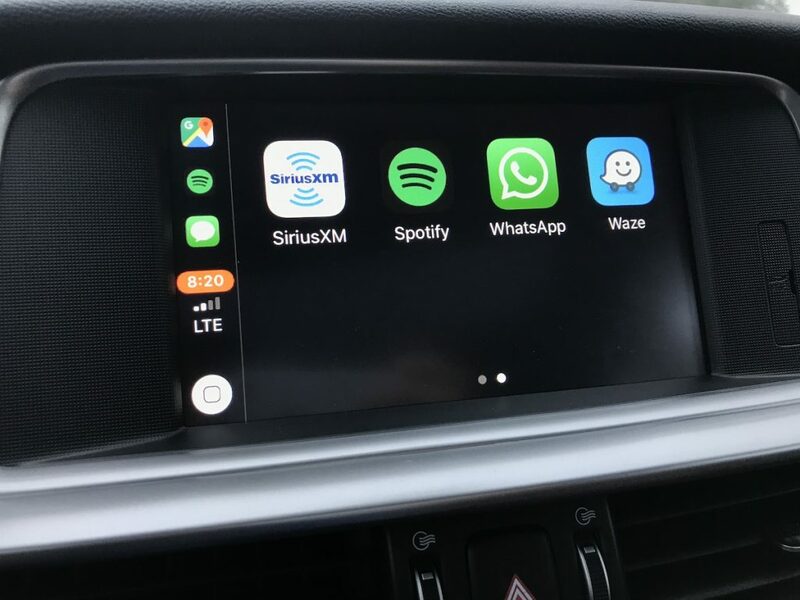 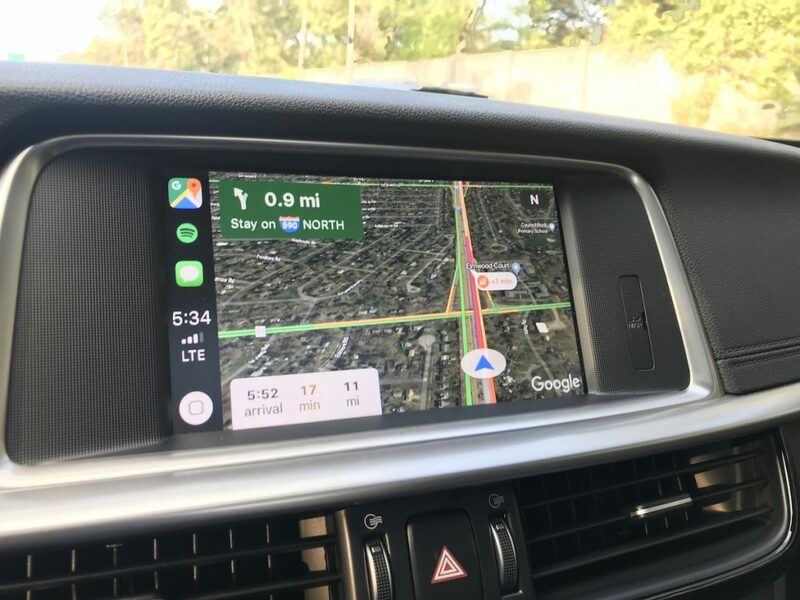 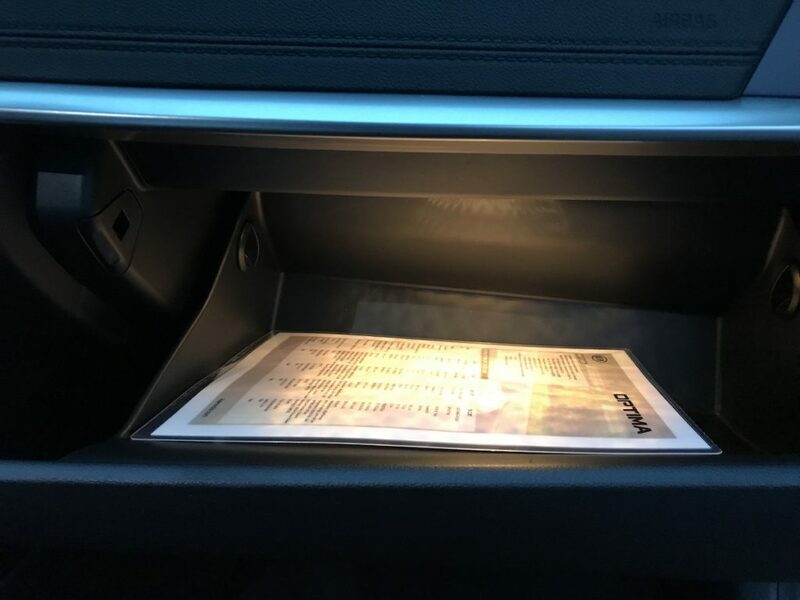 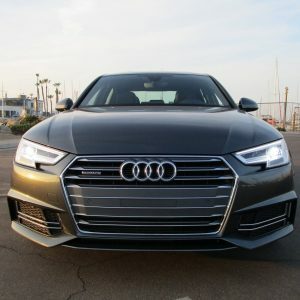 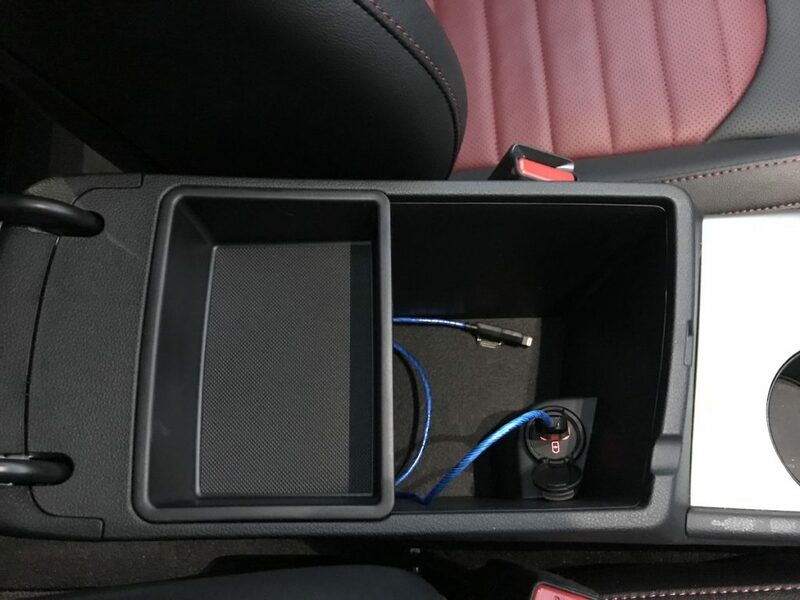 UVO link is the formal name (UVO play is on lower trims), and it offers an extended suite of connected-car security and convenience features. 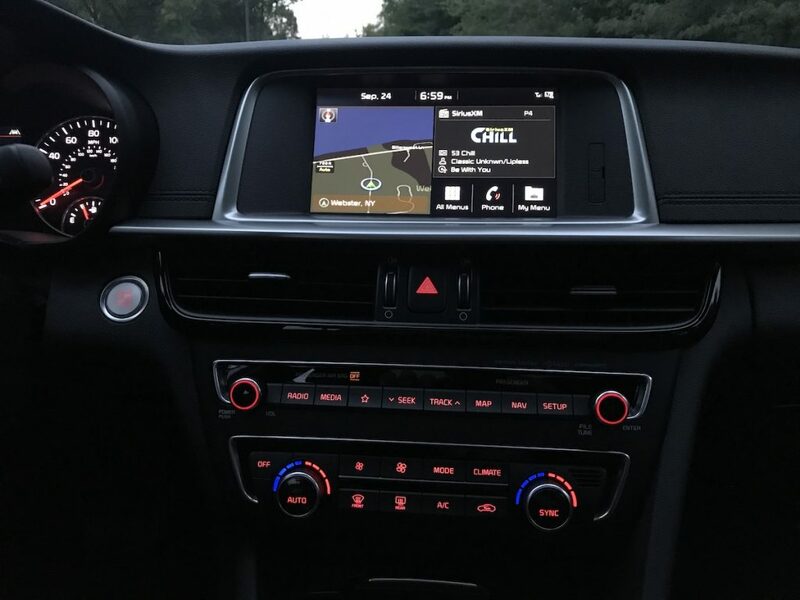 It adds features such as on-demand diagnostics, maintenance alerts, vehicle alarm notifications, geo fencing and speed alerts. 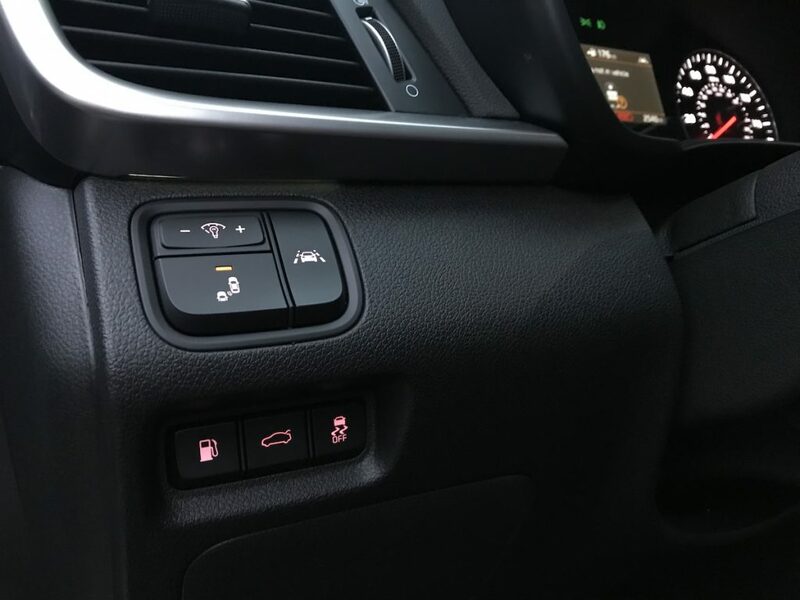 Convenience features such as remote HVAC control, remote lock/unlocking, and remote activation of the horn and lights are all included in UVO link. 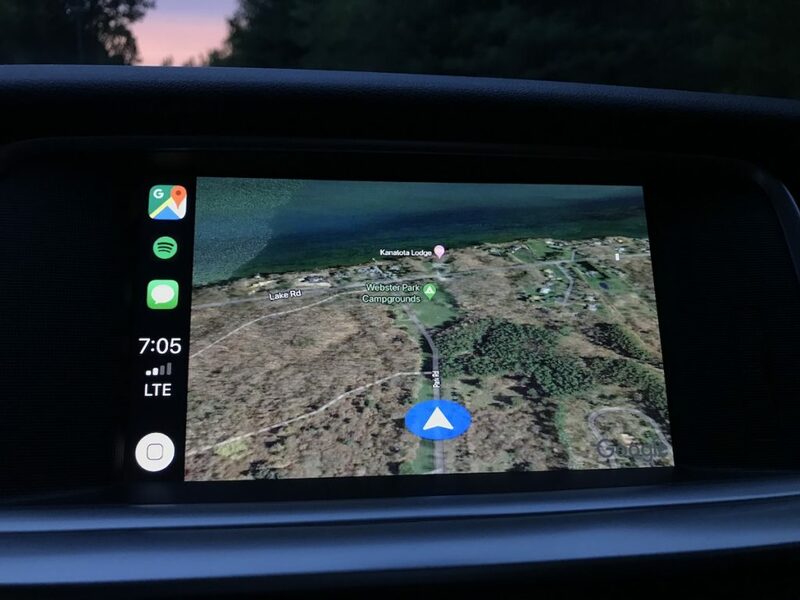 The top-tier UVO link with Navigation and adds MY POIs and Map Care, which allows for two free map updates a year. 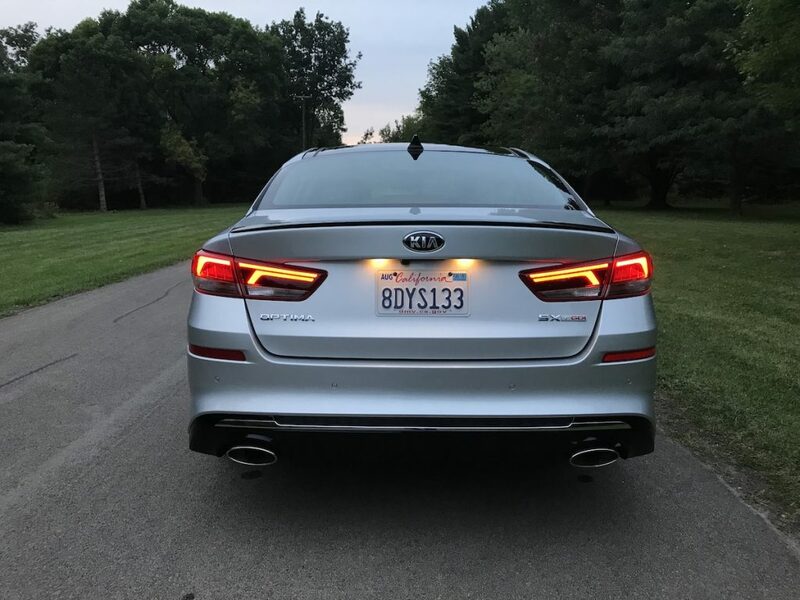 On the assisted driving end of the Optima’s feature list, Kia made forward collision warning with automatic braking standard, a true benefit to every driver on the road. 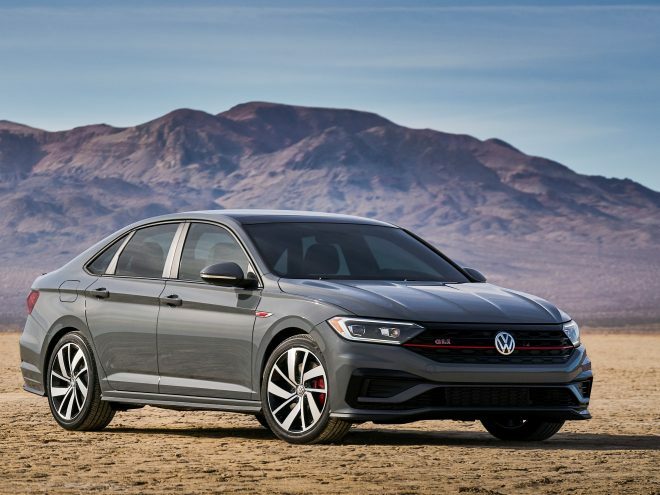 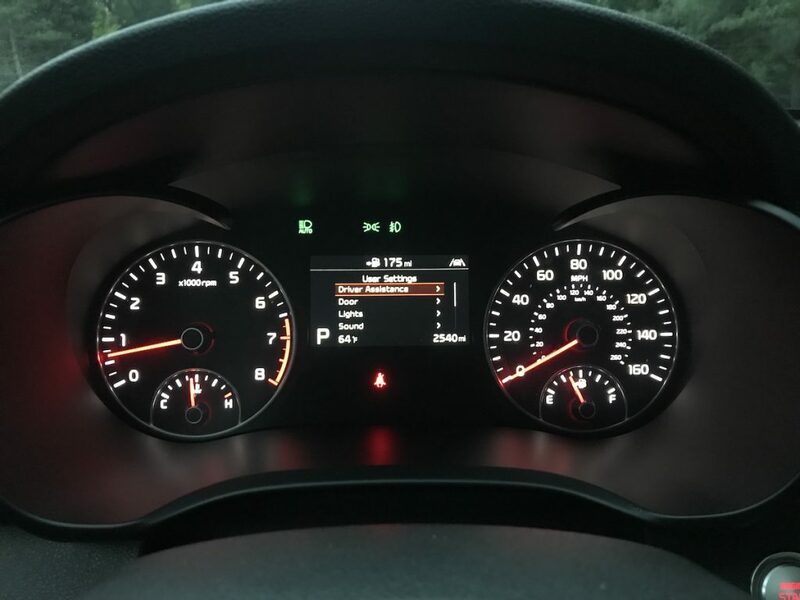 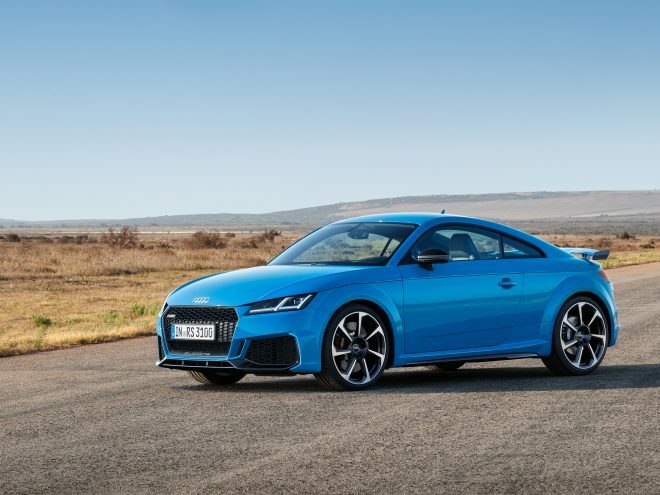 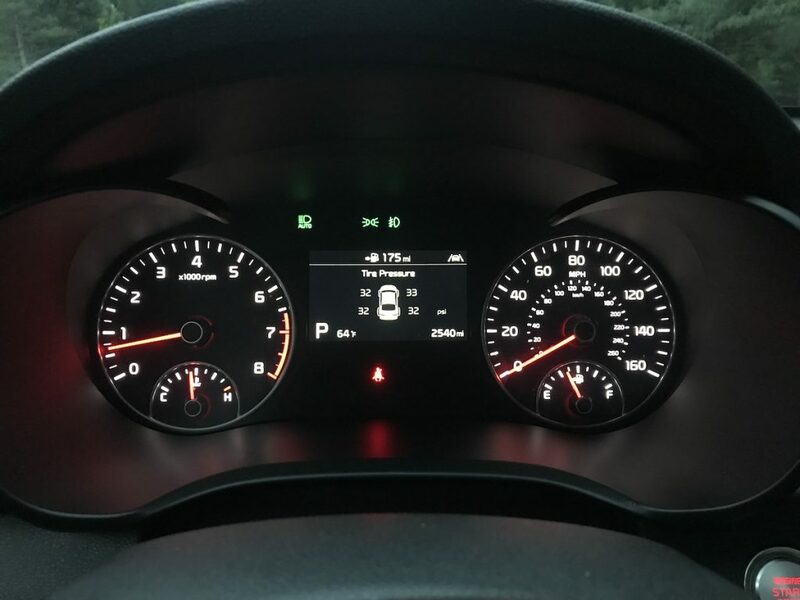 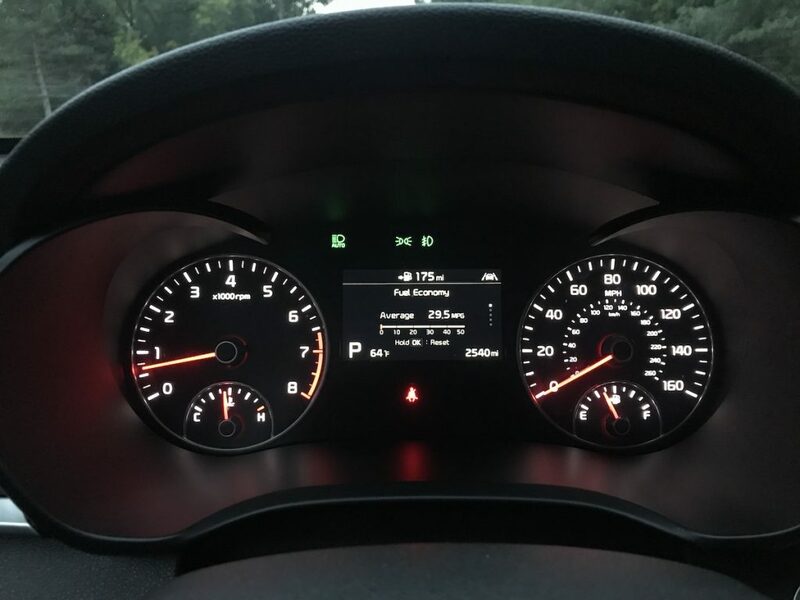 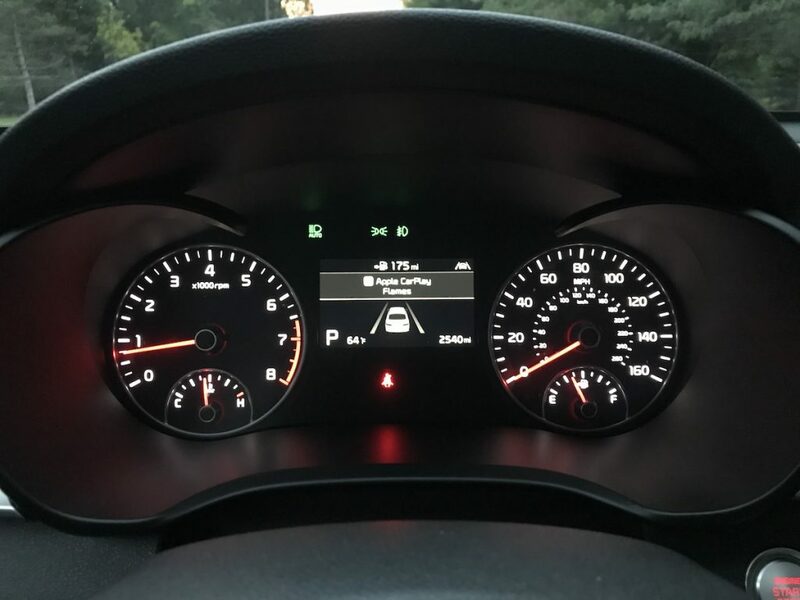 Lane departure warning with steering assist is also standard and worked so well it could nearly drive the car itself on the highway with just a light touch of the steering wheel. 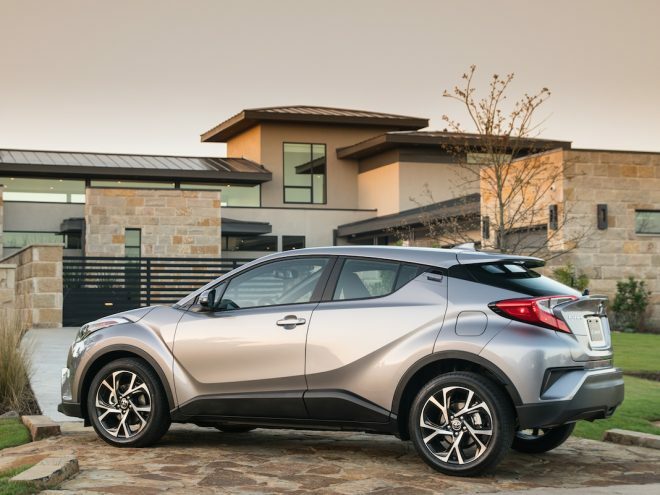 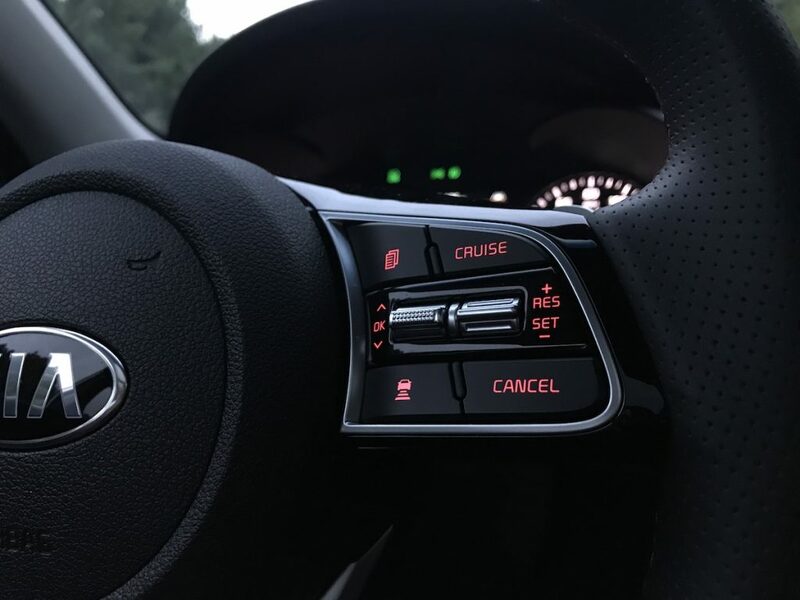 Smart Cruise Control with Stop-and-Go functionality is standard and works beautifully in commuting traffic. 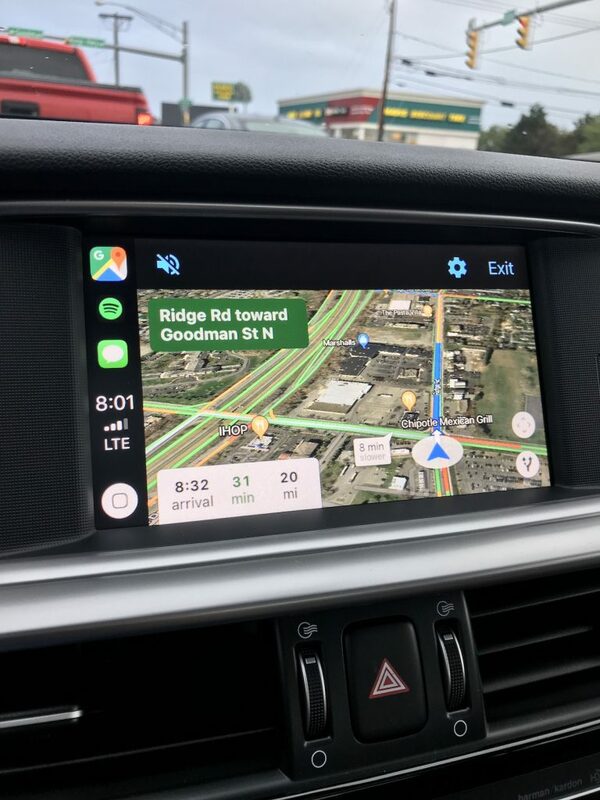 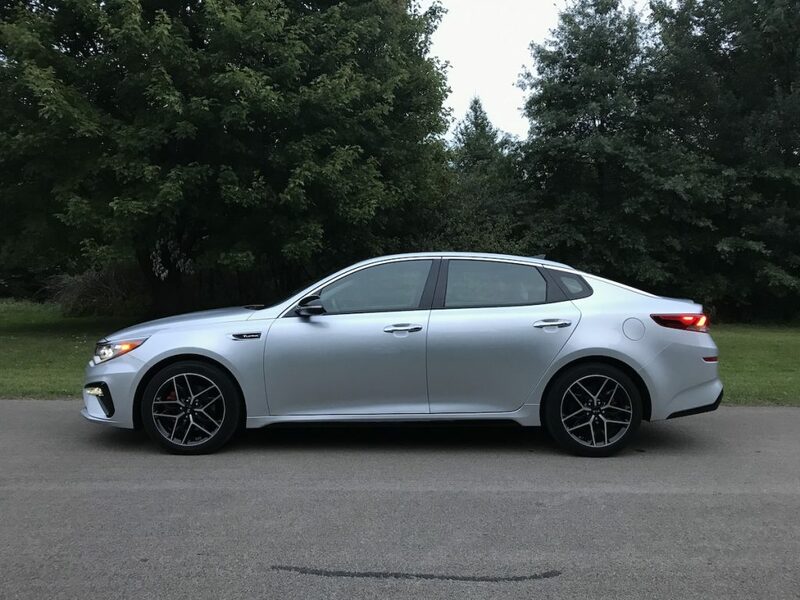 Tethered with lane keep assist, the 2019 Optima drives like a very advanced vehicle. 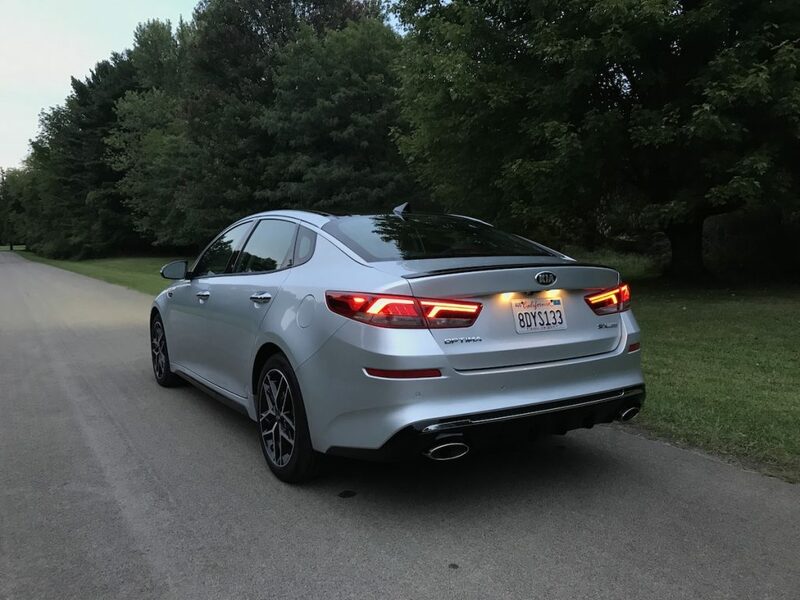 Parking sensors in the rear bumper and rear cross-traffic alert make parking lot headaches a thing of the past, while Surround View Monitor gives a birds-eye view of the Optima for parallel parking. 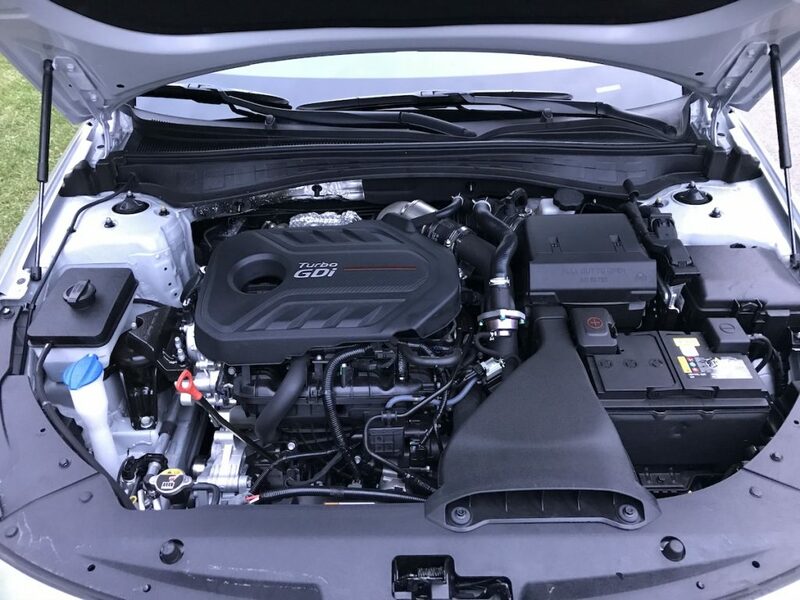 Under the hood, Kia installed a peppy 2.0L turbo four-cylinder that produces a forceful 245 horsepower and 260 lb-ft of torque. 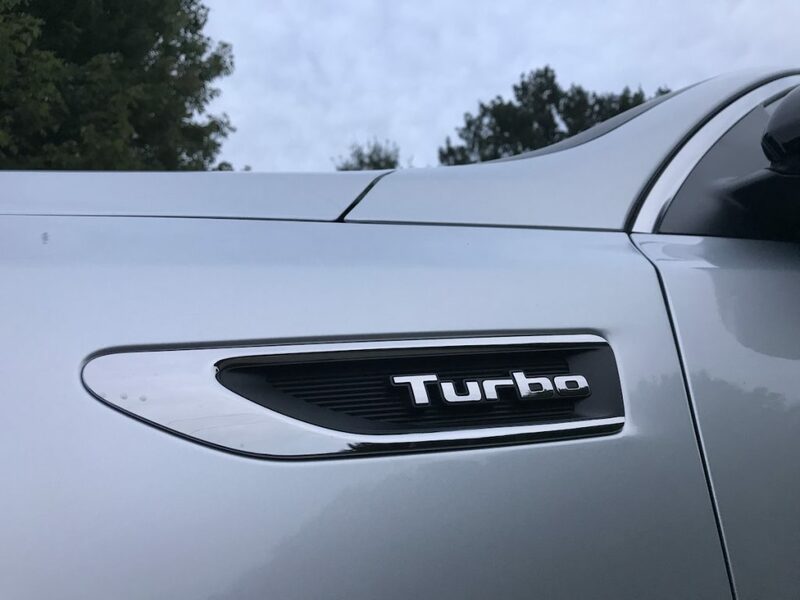 The engine feels perfect in this application, with plenty of power on tap and a fast-shifting 6-speed automatic. 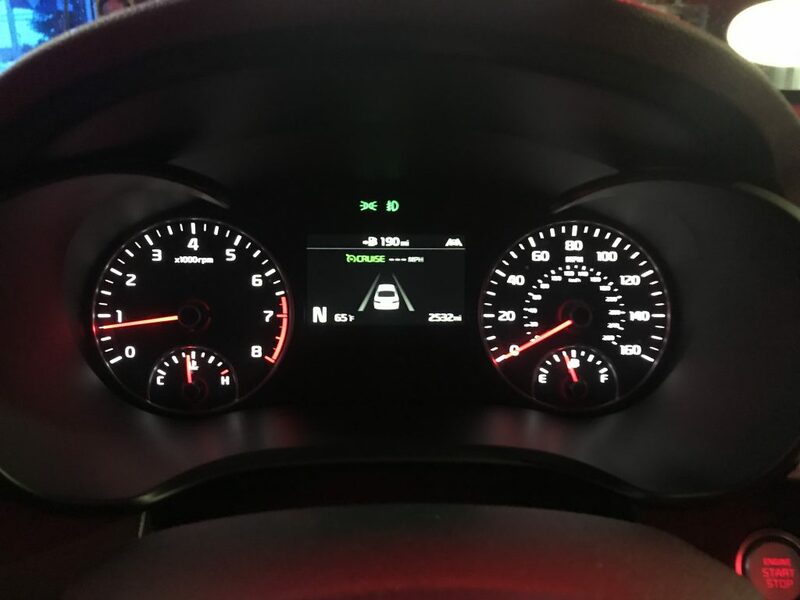 Steering feel is well-suited for this car. 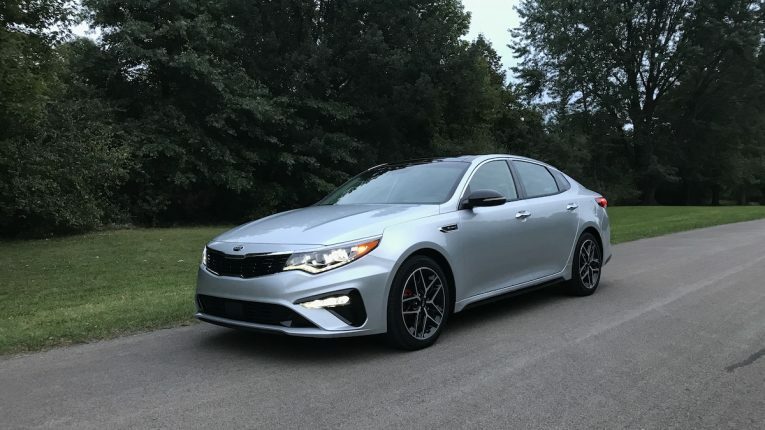 The Optima has a firm yet comfortable suspension, and the steering is tuned just right to not feel artificially heavy but not overly assisted either. 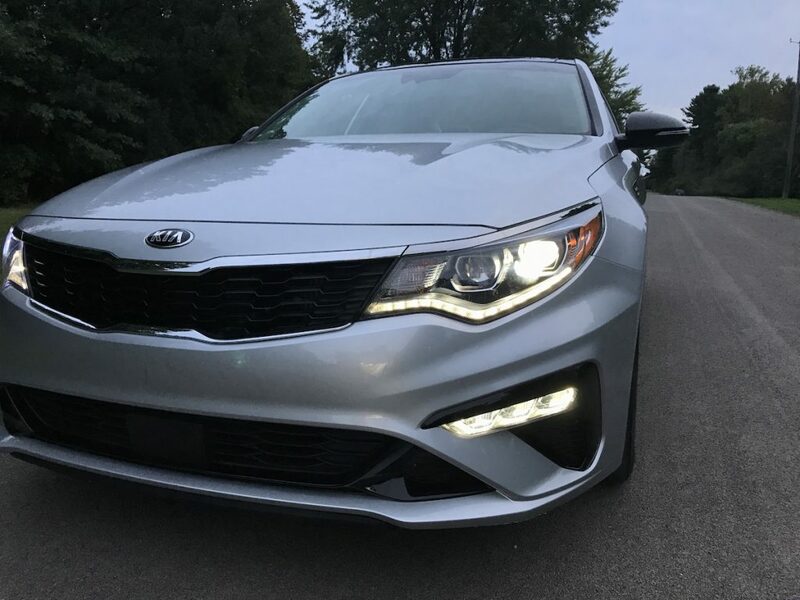 The 2019 Optima earns an EPA rating of 21 mpg city, 30 highway, 24 combined and we were able to average an excellent 29.5 mpg in mixed driving across the week. 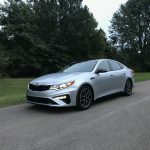 Kia’s plant in West Point, Georgia builds the Optima and we’re proud of the work they do!